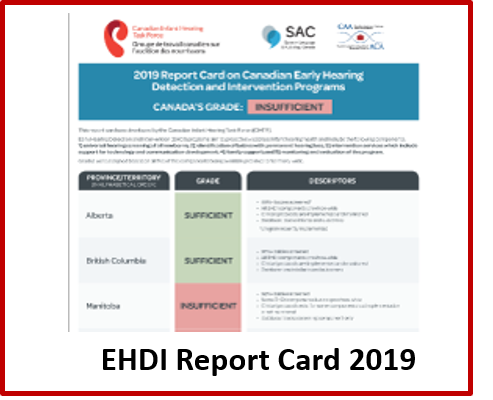 The Canadian Infant Hearing Task Force (CIHTF) has released their 2019 Report Card on the status of early hearing detection and intervention (EHDI) programs in Canada at a press conference on Parliament Hill. The 2019 EHDI Report Card exposes an alarming disparity in the hearing health services available to infants and children in Canada. The new report card also reveals that little has changed since the CIHTF’s 2014 EHDI Report Card, with Canada once again receiving an overall grade of “insufficient.” For a complete overview of these findings, please visit here. While the CIHTF is pleased to report that Alberta, the Northwest Territories and Yukon have improved from insufficient in 2014 to a sufficient grade in 2019, they are disappointed to report that more than half of the provinces and territories in Canada have received an insufficient grade. In the case of two provinces (New Brunswick and Prince Edward Island), their overall grade fell from sufficient in 2014 to insufficient in 2019. For more information about the grades and recommendations for each province and territory, please visit here. 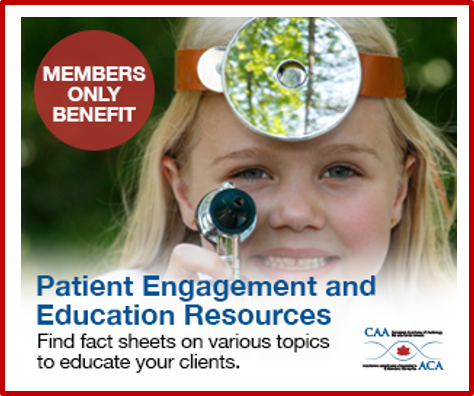 Canadian Academy of Audiology (CAA) and Speech-Language and Audiology Canada (SAC) are excited to announce the release of the Vestibular Assessment & Management for Canadian Audiologists: A Scoping Review. * NOTE: The scoping review document and accompanying webinar do not represent a formal clinical practice guideline or a standard of practice. A scoping review is a document which summarizes some of the research findings in the literature and some of the commonly used practices. It is not to be used as a regulatory document. The purpose of this guideline is to provide evidence-based recommendations for clinicians managing patients with tinnitus. The target audience is any clinician, including non-physicians, involved in managing these patients. Patients with tinnitus will often be evaluated by a variety of healthcare providers including primary care clinicians, specialty physicians, and non-physician providers such as audiologists and mental health professionals. The target patient population is limited to adults (18 years and older) with primary tinnitus that is persistent and bothersome.